As we all know, most of our tribal members live in far-flung places, other states and even other nations. While there are likely many reasons why families left the reservation, my family’s story took us to Oregon’s Rogue Valley in the early 1920s, during The Osage Reign of Terror described in the current best seller; Killers of the Flower Moon, by David Grann. As we all know, our modern story starts on the Osage reservation. Like so many native tribes, Osage territory was shrunk from a territory that originally covered most of Missouri, Arkansas, Oklahoma and Kansas, to the corner of northeast Oklahoma in the late 19th Century. In a bizarre twist of fate, in the early 20th Century, oil was discovered. The Osages soon became the richest people in the world as they benefited from oil leases and royalties. The money was apportioned to the 2,229 living members of the tribe who were born before 1907. Their shares of the mineral rights, called “headrights,” were inherited by their descendants in perpetuity. My grandmother, Gladys Trumbly, was one of the original headright owners. In the early decades of the new century, she enjoyed the wealth shared by all headright owners. But there was a dark side to this sudden wealth, explored in depth in Killers of the Flower Moon. 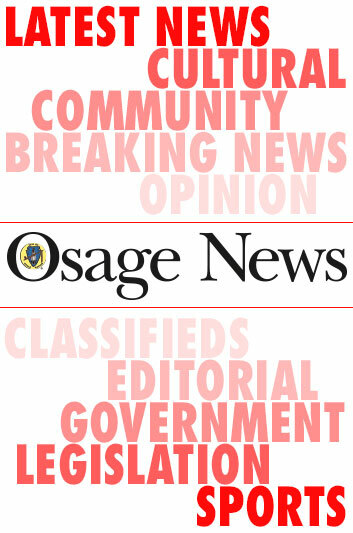 Sensing an opportunity to acquire some of this wealth, unscrupulous men married Osage women, killed their new wives through a variety of methods, including shooting, poisoning and blowing up an entire house with the occupants inside. The Headrights were also stolen by white “guardians.” However, the guardians were invariably corrupt. 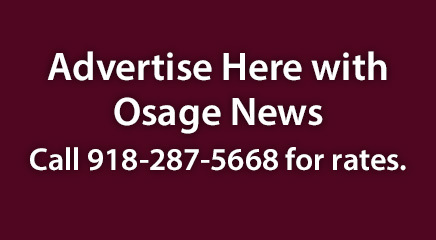 In fact it turns out most of the local institutions, from bankers and lawyers to law enforcement, were part of a grand scheme to defraud the Osage. The resulting Reign of Terror, described by Grann, and in other books about that time, began in the early 1920s. At that time, my great grandfather, Clarence Trumbly, lived with his extended family on his family’s allotment in Elgin, Kansas. My grandmother had married a Scotsman named Thomas McAdam when she was sixteen. My mother, Betty Jane McAdam, was born in 1922. When she was two or three years old, Clarence moved the family to Grants Pass, Oregon. I never heard family lore that said the reason for the move was the Reign of Terror, but I can’t imagine that that was not a major factor since hundreds of Osages were then being murdered. Clarence bought land in the Rogue Valley of southern Oregon where my mother grew up in Grants Pass. Her mother, grandfather and other Trumbly relations are buried in the Grants Pass cemetery with grave plates bearing their names. My maternal ancestry stems from Chief Pawhuska, and the lineage of Trumbly descendants. My mother lived on her headright income, inherited from her mother, until her passing in 2011. Today, my headright income is a mere fraction of what once provided lavish lifestyles for the Osage.